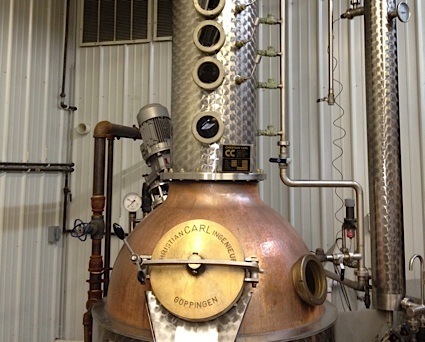 Bottom Line: A rich and velvety scotch whiskey that will be a pleasure to drink in craft cocktails and simply neat. 93 • Grand Macnish "Black" Blended Scotch Whisky 40% (Scotland) $29.99. 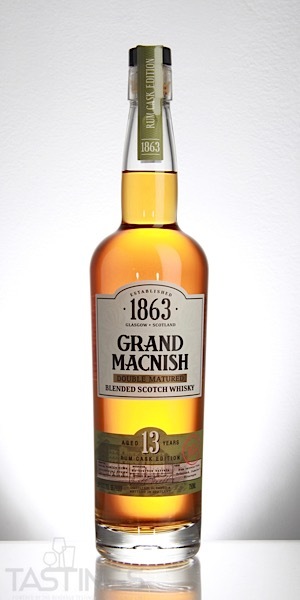 89 • Grand Macnish 12 Year Old Blended Scotch Whisky 40% (Scotland) $27.99. 93 • Grand Macnish Double Matured 13 Year Old Rum Cask Aged Blended Scotch Whisky 43% (Scotland) $45.99. 88 • Grand Macnish 15 Year Old Sherry Cask Age Blended Scotch Whisky 43% (Scotland) $54.99. 88 • Oh Schist 2015 Riesling, Germany 9.5% (Germany) $10.99. 87 • Stone Fruit 2014 Riesling, Germany 10% (Germany) $10.99. Grand Macnish Double Matured 13 Year Old Rum Cask Aged Blended Scotch Whisky rating was calculated by tastings.com to be 93 points out of 100 on 11/19/2018. Please note that MSRP may have changed since the date of our review.